What if you are at an unknown place and have a dead cell reception, what do you do now? You can’t access the ever present Google Maps to have an idea of where you are and where you should go. Remember the time when our parents used to remember the routes to even distant cities and all their acquaintance’s place. But today we can’t even remember our own house’s directions. In today’s era when people have become so dependent on online services like Google Maps or GPS ( Geo Positioning System), that they don’t remember or care to learn the directions any more. 2 SO WHY DOES THIS PROBLEM OCCUR? It gives us an idea of direction when we are lost or even when we are not and just need to find the shortest possible route. Google maps is the most popular online direction system which is now used in every commuter’s day to day life to navigate through over expanding cities and countries. It gives the shortest and most convenient route to travel by foot, bike, car, bus or train. Not only this it also tells you estimated time of arrival and traffic conditions along the way. However, as is the case with every software, Google maps also has its own glitches and is not removed from it. There are times when you may find a blank Google map while accessing it through our android mobile phones or through Google chrome browser. You may access the address through url but the core functionality remains broken. This in itself is a cause of concern when you are in a hurry to reach a place or are lost in an unidentified location with no people present at an odd time. SO WHY DOES THIS PROBLEM OCCUR? 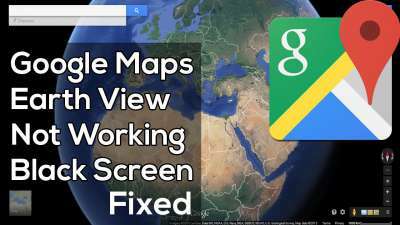 Maps and if you don’t delete it then the maps show blank screen while googling. So the solution is also simple to remove all the unwanted cached data and cookies from your android device and web browser for it to get new data online. The procedure to remove unwanted cached data and cookies from your android device and web browser is to delete the cookies and cache from your system apps and browser history and then to reinstall the application Google maps with the version supported on your android device. First of all, go to your android device’s settings and then to navigate to Applications or Apps. You will find all your installed apps on the device there. Navigate to maps on your device and select the option by tapping on it. Now in app details you would see options to Force stop and to uninstall or update the device. 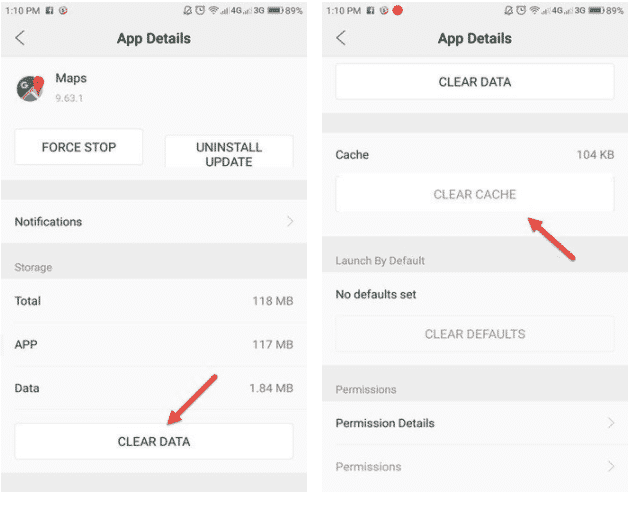 Below these options, there would be a tab to clear data or clear cached data where in some memory would be displayed which shows how much cached data is stored in the application. Select all those options to discard cached data in the maps. You can also force stop the application or uninstall it and reinstall it with the latest version through the Google play store. STEP 4. 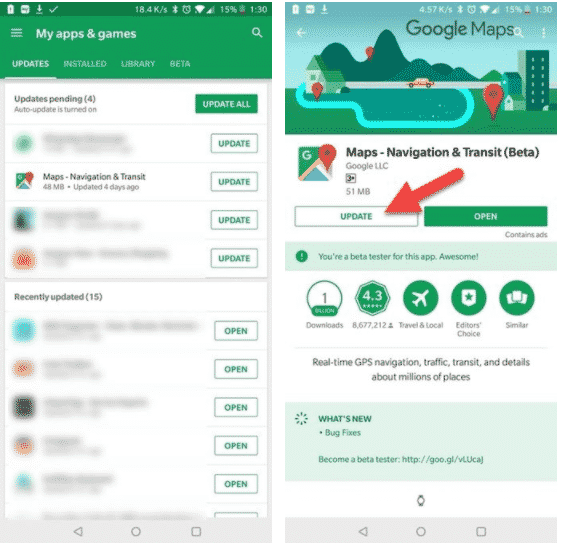 Your Google maps should work now properly, if even after these steps your Google maps in showing blank maps or not working properly, then it could be that there is an outdated version of the Google map on your device and it needs to be uninstalled and then reinstalled as per the latest supported version. Go to Google play store search for Google Maps in the section my apps and games, and then after tapping on it you will see the option for uninstall or update the app, You can select either uninstall option and then reinstall Google Maps in its latest versions or select the update option to let the developers fix your version with latest fixes. For best performance, always keep your Goggle apps like Maps, Music, and Store etc. updated. Google Chrome has different procedure to delete cached data and cookies than your android device. Follow these procedures to delete cached data and cookies from your Google Chrome web browser. 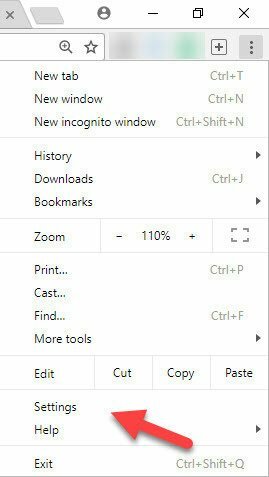 First of all find the Settings menu on your Google Chrome web browser by selecting the three dot menu on the top-right corner of the browser tab. Step 2) Find the ‘Advanced’ option by scrolling down and select it by tapping on it. 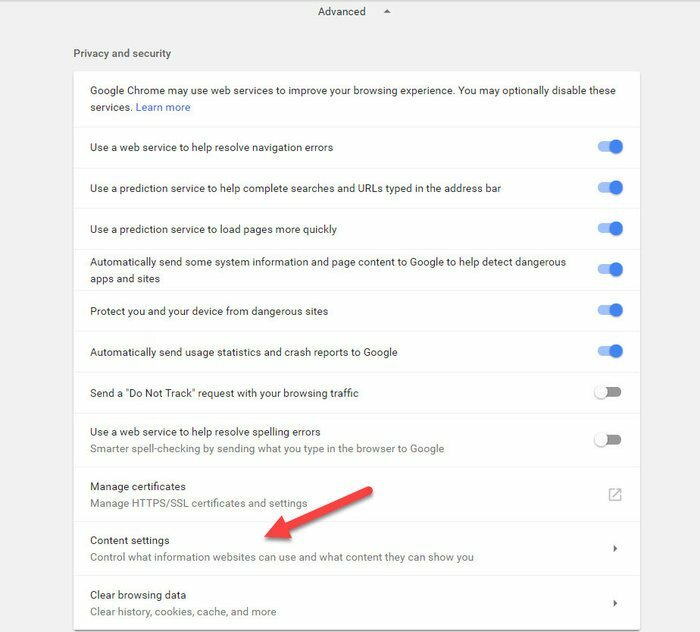 Step 3) Under the heading Privacy and Security you will find the option Content Settings. Click on it. Step 4) After this, you will find the Cookies Option on the top of the menu. Select it to go to next page where you will see all cookies and site data option. Step 5) Now you can select all cookies from same entry by typing the address in the search bar above the menu e.g. type www.google.com for cookies from google website (.uk for UK and .co.in for India). Step 6) You will find the complete list of cookies on next page. You can either select to delete all the cookies or if you don’t want that then the cookies that are making your google maps produce blank maps would be labelled with gsScrollPos with a 4-digit number attached to it. Delete these specifics cookies by selecting the X button on the corner to remove the error. After this go to Google chrome web browser, if you had followed all these steps carefully then all the offending cookies have been deleted by now and your app should work perfectly. If not kindly go through these steps again. If encountering further issues in your Google maps or finding them blank, then you can delete all cache and cookies from your system apps and web browser and then try restarting the device to solve the issue. 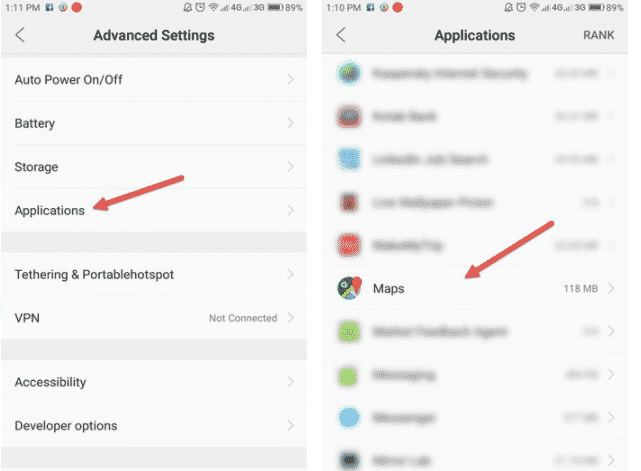 So, these were the two methods that will fix blank Google Maps issue on your Android phone and Google Chrome browser.